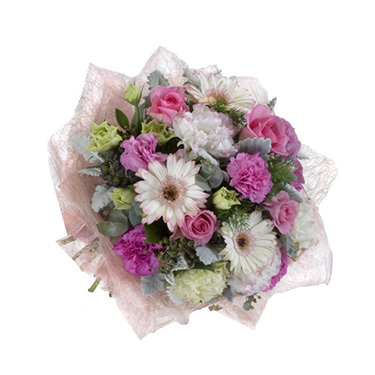 A wonderful selection of pink and pastel flowers arranged in a bouquet. 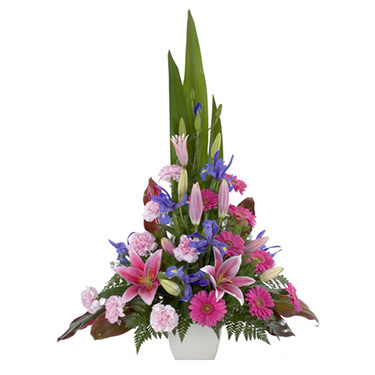 A supreme pot arrangement including perfumed oriental lillies. 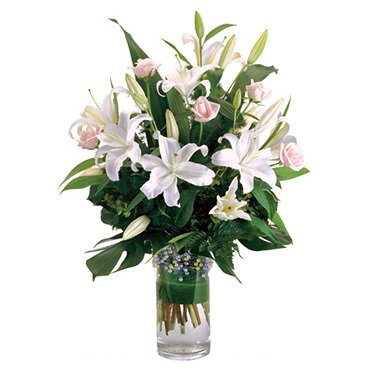 An ellegant arrangement of oriental lillies and roses. 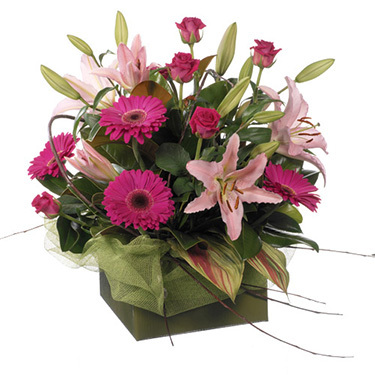 A lavish box arrangement with oriental lillies, roses and gerberas. 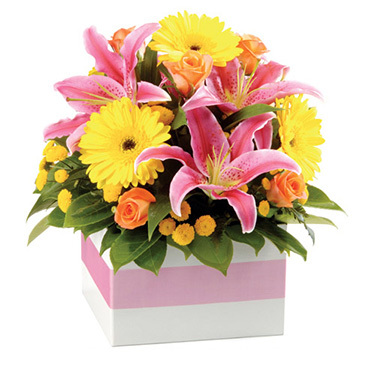 A modern, bright box arrangement. 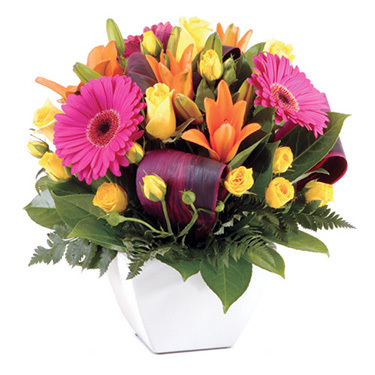 A bright ceramic pot arrangement of spray roses, lillies and gerberas.